The chief thing at Wright’s is of course Unity Church, the sketches of which are at last accepted. We have all pleaded and argued with the committee, until we are well-nigh worn out. All hands are working on the drawings. 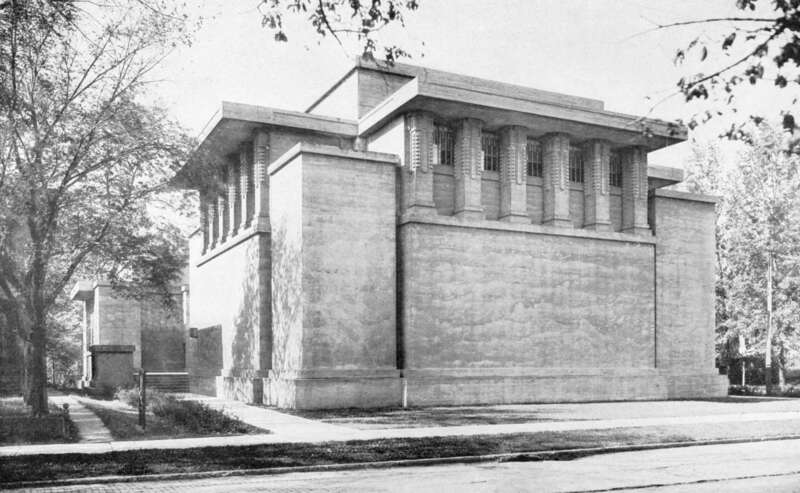 A monolithic structure of exposed cast concrete, Unity Temple stands today as a masterpiece of modern architecture and design. Commissioned by the congregation of Oak Park Unity Church in 1905, shortly after Wright’s return from his Japan trip, the church is the greatest public building of Wright’s Prairie years. Modern in appearance yet ancient in spirit, the building is a massive and monolithic concrete structure sheltered beneath expansive flat roofs. In his design, Wright abandoned the use of traditional church features of tower, steeple, and nave, creating a “noble room” in which man could reflect upon God. 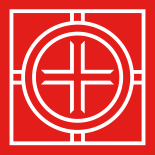 While Unity Temple builds upon the plan of the Studio, scholars such as Kevin Nute and Joseph M. Siry have highlighted how the binuclear plan of the building shares much in common with the gongen-style of Japanese temples. Taiyu-in-byo in Nikko, a seventeenth-century temple for Iemitsu Tokugawa, the third Shogun of Tokugawa, which Wright most likely visited in 1905, is cited as a likely source of influence in his plan for Unity Temple.